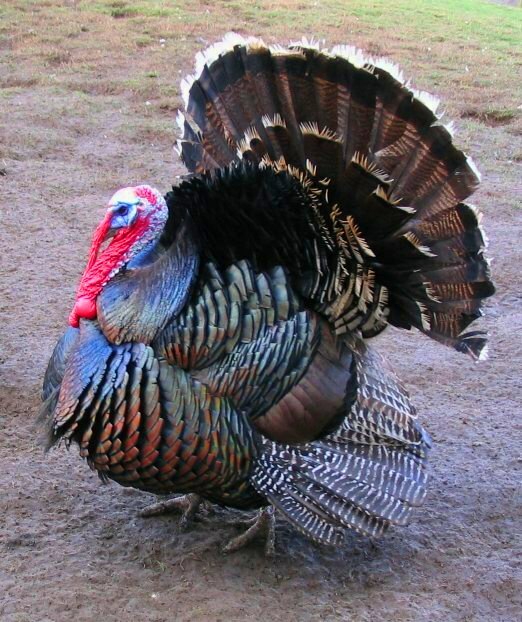 For Thanksgiving, Americans throughout the country will gather together, many of them dining on turkey (Meleagris gallopavo). Turkeys are native to the eastern and southwestern regions of the United States and northern and central Mexico. For millennia, people in these parts of the continent ate turkey meat, harvested their eggs, and collected their feathers. Archaeological evidence indicates that ancient people began domesticating turkeys around 2,300 years ago in Mexico and about 1,925 years ago in the American Southwest. But, how do archaeologists know when people domesticated turkeys? For many animals, archaeologists are able to detect changes in the size of the bones of those animals that are domesticated, reflecting changes in the overall size of the animal, compared to those of the species that are not. This is because as humans co-lived with animals, they breed these animals according to those traits and physical characteristics people deem desirable. For many animals, people chose to breed smaller individuals so these animals would be easier to control and keep. For examples, dogs and cattle are on average smaller in size compared to their wild counter parts, wolves and aurochs, respectively. Further, as people domesticate animals, they breed animals with unusual coats and plumage that would not be advantageous if these animals were in the wild. This is how we end up with domesticated animals with white fur and feathers. For domestic turkeys, however, their stature and bones are similar in size compared to wild members of the species, and feathers evidencing white plumage generally do not preserve archaeologically. 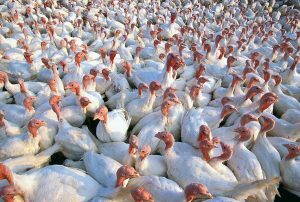 Instead, archaeologists must use evidence to infer turkey domestication. This includes the presence of juvenile turkeys, a high frequency of turkey egg shell fragments, as well as a high frequency of maize recovered from turkey coprolites (fossilized feces) indicating that they were fed by people. So, this year as you dine on turkey, take a moment to appreciate the longevity of this species’ contribution to the human diet, as well as the science that helps us understand how important this species of bird was to people in the past. Happy Thanksgiving!